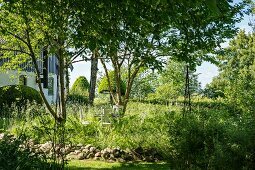 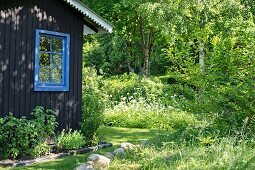 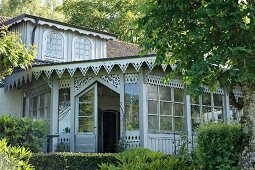 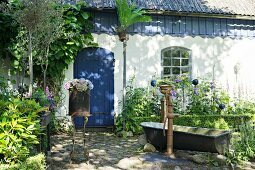 Annlis Kügler has created an absolute paradise in her perfect Swedish garden. 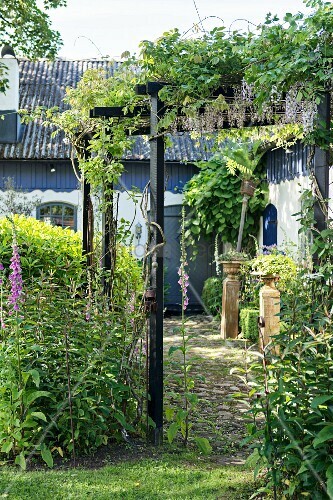 Lupines, Clematis and hydrangeas provide the touch of blue, echoing the colour of the charming house that is the centre point of the plot. 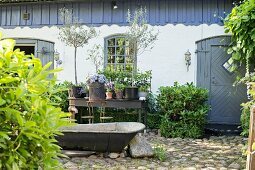 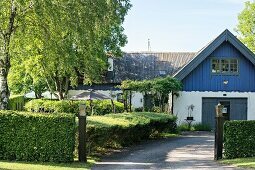 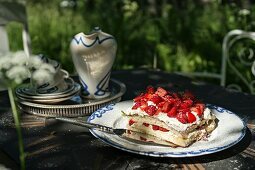 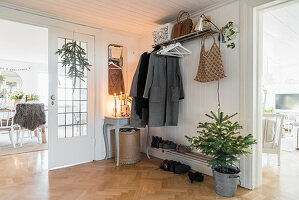 In this green idyll Annlis is happy to spend the summer and celebrate mid-summer night.